Many people report that their back pain can get even more severe during seasonal changes, especially at the onset of winter. After years of dealing with the discomfort and recognizing the first warning signs, some back pain sufferers can predict early winter weather developments more accurately than the local meteorologist. It’s clear that seasonal changes can affect chronic conditions, but the question remains: what treatment options do you have when cold temperatures are affecting you? Here are some tips on how to treat back pain that is inflamed by winter weather. Even mild pain can be reason enough to schedule a visit with a back pain doctor. Just because your pain is seasonal and may diminish in time doesn’t mean you should avoid treatment. Don’t tough it out. Look for solutions! If it’s your first visit, they will want to know about any history related to your pain. Be ready to tell them when it began, how long flare ups (if any) generally last, and common times for it to get better or worse. Definitely let them know if your back ever caused you to visit an orthopedic surgeon or an emergency room. There are a few tips that can help you cope with severe discomfort during a temperature drop. When being cold is causing you pain, it’s extra important to dress appropriately for the weather. Add an extra layer when you feel a cold snap coming on. Also, make sure you have all the warm accessories — hat, gloves, long underwear, etc. Keeping your back loose and limber may reduce the chances of a flare up. It all depends on the specifics of your condition. Some people may experience negative effects from stretching. Make sure you consult with a doctor before starting a regular routine. Body trimming belts, available at fitness stores, are effective at delivering heat to the back. They are intended as waste slimmers, but the extra heat might be just what you need for pain prevention in the winter. Otherwise, consider using heat packs or similar products. 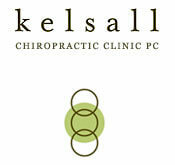 The best solution of all is to seek professional back pain treatment from a chiropractor. There, you will find treatment options that get results during the worst stretches winter and throughout all the major seasonal changes of the year. Schedule an appointment with our Portland chiropractor today to make sure you aren’t slowed down by colder temperatures. If you are in the Denver Area, connect with Heritage Health for Centennial chiropractic care, including back pain support.